If you said “KEEN-Wah”, you are correct. Second only to cooking I love to read. A lot. While deeply engrossed in a book, I rarely take the time to stop and look up the pronunciation and definition of any unfamiliar word I stumble across. Just sound it out and contextualize it, then I’m good to go. Over the years this has bitten me in the behind a few times. 1. I confidently interject my new found vocab word into our conversation, very impressed with myself. 2. In reply, my sister coyly uses the same word in her answer – except pronounced correctly. 3. I get the hint. Some of the recent culprits: segue, potpourri, omnipotent. You get the picture. so it rhymes with Winona (as in Ryder or Minnesota). We had seen the ingredient written in recipes about 100 times and didn’t know it was the same ingredient we had heard pronounced “KEEN-Wah” about 100 times. What a revelation when we realized it was the same thing! Silly us. 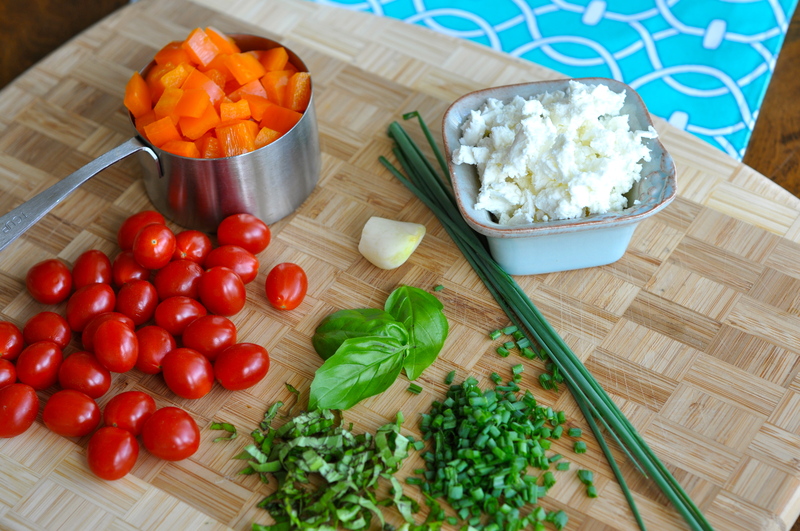 So today you get a recipe…..and a vocab lesson all in one. This is what it looks like right out of the box. This is what it looks like once it is cooked. To cook it bring 2 cups of chicken broth to a boil. 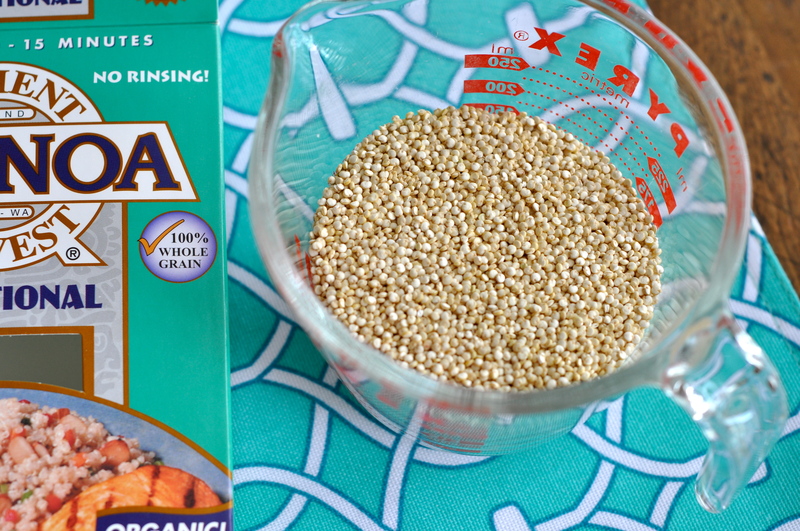 Add 1 cup quinoa and reduce heat to a simmer. Cover and simmer until all liquid is gone, about 10-15 minutes. Fluff with a fork and cool. 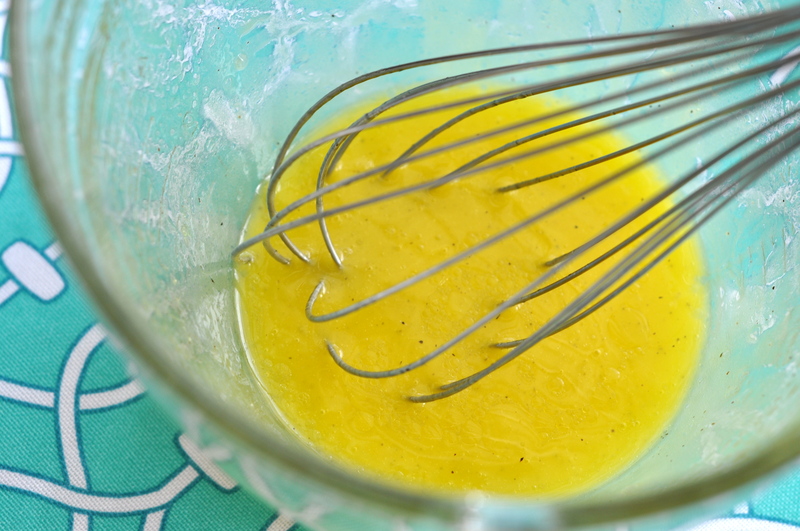 Make a quick dressing by whisking together 1/3 cup fresh lemon juice and 1/3 cup olive oil until it emulsifies. 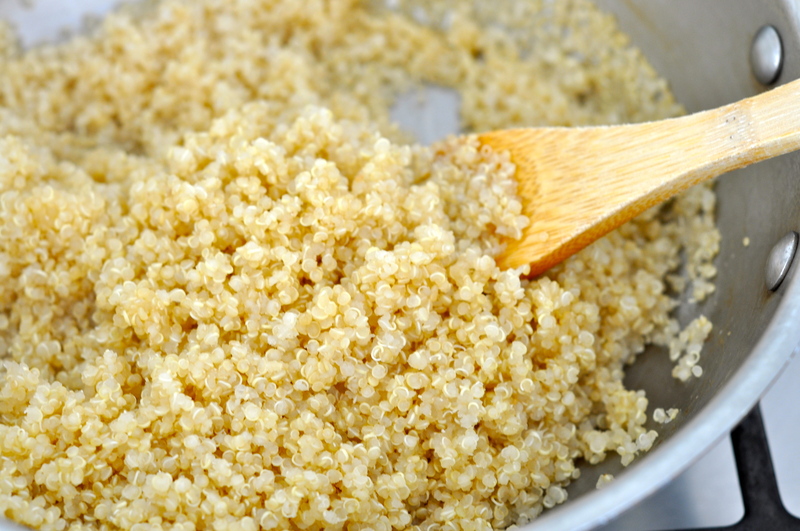 Add the dressing to the cooked and cooled Quinoa. 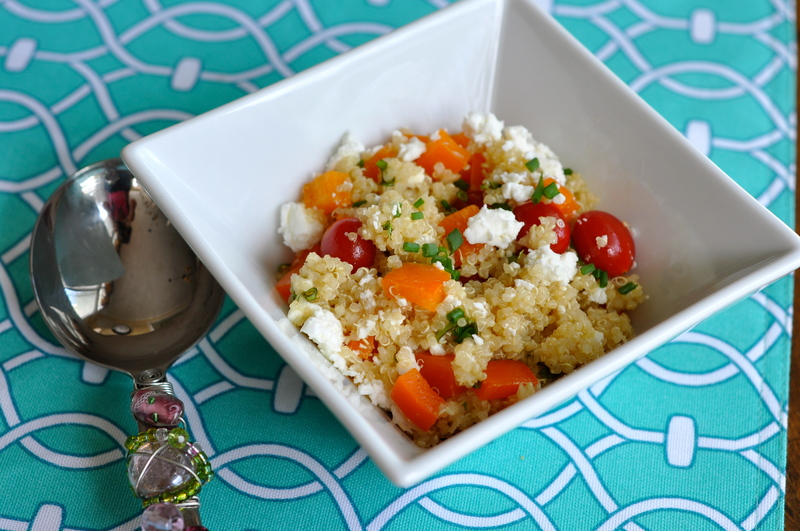 Today I tossed bell pepper, grape tomatoes, basil, chives, garlic and feta cheese into the Quinoa salad. But really….use your imagination. Anything fresh and tasty will do. 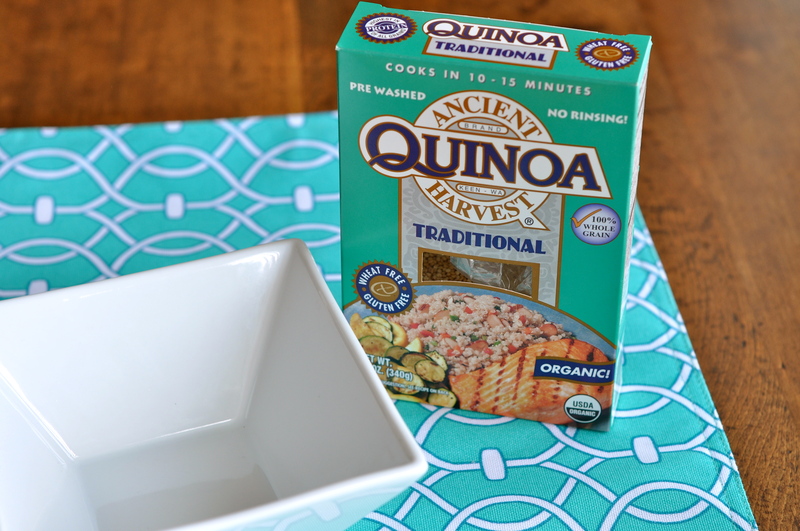 This is great as a side dish or throw in some grilled chicken or fish for a complete meal. Enjoy!! I love this post. The recipe, the backstory, all of it…perfection. Sigh. I like the vocab lesson and the dish!!! !